Good condition F52 SWCE up for grabs. Trying my hand at building and need luthier's tools... lots of tools so ... same habit . a little different angle... hate to see the dust settling on this one. Try once more w a shot of the full collection. G300S, F42S, WB400SWR, F52SWCE and WD44S Koa. Should be a top shot and a back shot. Also included is a shot of the remainder of the collection. Lots form Vietnam ... went through an inlay phase about five years ago. The voicing quality of the instruments was so impressive I haven't been able to part with any yet. 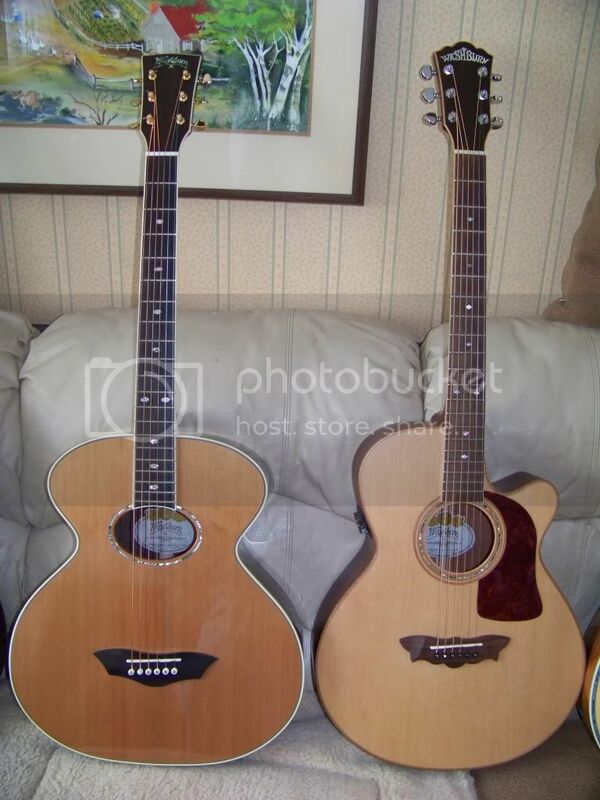 Finally, There is a shot of the WB400SWR and F52SWCE that are up for sale . $300.+ Shipping each will take these. 1-1/2 yr .Light Couch/ finger-style on both is the only play they have seen. First, The input jack (guitar end) keeps loosining up. 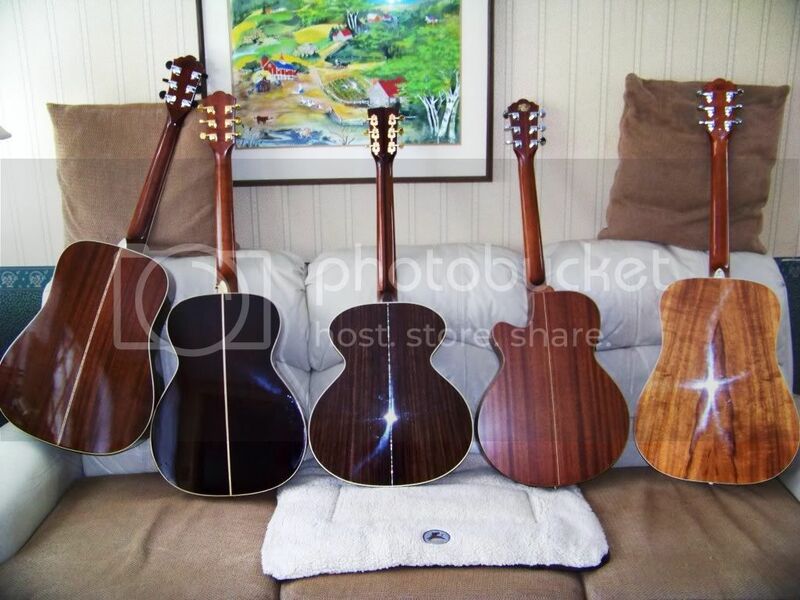 You need to access an internal nut through the sound hole. Is a real bear to re-tighten short of going to LMI or Stewmac and paying $40. for a special tool... maybe that's the only answer. Unfortunate design. Have seen others with an external nut for tightening. Second, and maybe the reason for the constant loosining of the jack is that the input port is ridiculously tight for any standard cord jack. With a little twisting can get the guitar hooked up... sounds sweet but when finished the jack doesn't want to come out... as in, just short of a crow bar, doesn't want to come out. Have tried using a light app of dielectric lube... worked better but it's not right. Has anyone experienced this problem with any of the B-Band units? I have an F52SWCE with a loose endpin jack. Hoping that I can tighten it from outside the body but I do not see a nut. Wondered if the endpin jack strap button is clipped or screwed over the tightening nut...the button doesn't give to light persuasion and didn't want to crank on it if it was not the going to get me to a fastener that I could tighten. 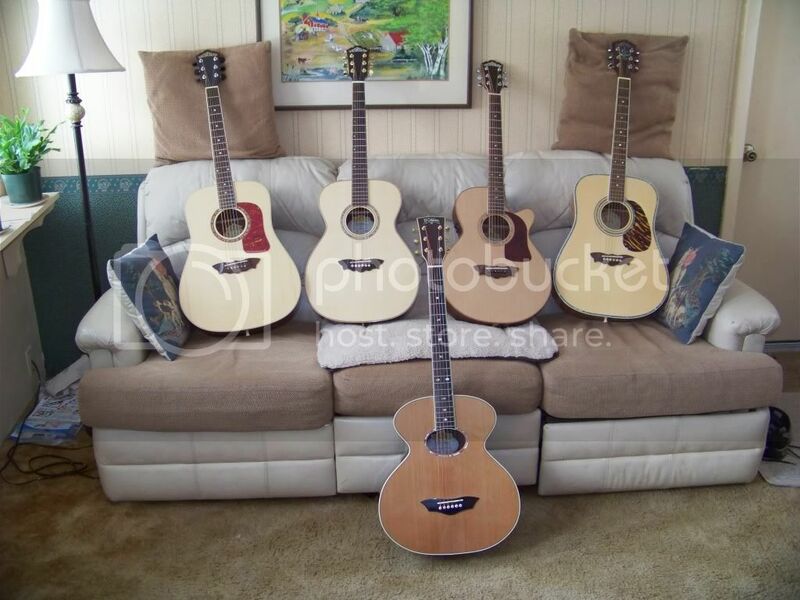 Just ebayed a scratch and dent Washburn F42-S, Folk style acoustic from p-hill. I looked high and low for detail re: back and side wood. Strange to find absolutely no detail anywhere [?]. Was advertised as Solid Rosewood. Guess I just wanted to get confirmation from someone... I am sure I'll find out as soon as it arrives. Presently have a F52-SWCE. Love the 000 size. This folk style fits ... for me.